Are Transaction Costs for Patents Too High? I was confronted with the statement that there are “Hugh transaction costs related to patents.” This statement implies the assumption that these transaction costs are unjustified. I disagree with the premise, but since all systems can be improved I will provide a number of specific proposals to reduce the transaction costs. The alternative proposed by the author of this statement, was to shorten the length of patents and increase government funding of R&D. The proposed system of government funding for research is not effective substitute for patents. The history of government funding for research is mixed at best and much more expensive than patents. The US patent system is completely funded by user fees (in fact Congress has been stealing user fees to pay for their pet projects). The patent system has been significantly more effective at stimulating innovation than government funded projects – see Zorina Khan’s work including her book The Democratization of Invention: Patents and Copyrights in American Economic Development, 1790-1920 (NBER Series on Long-Term Factors in Economic Development) also see The Most Powerful Idea in the World: A Story of Steam, Industry, and Invention, by William Rosen. Litigation Costs: There has been a very effective propaganda campaign to suggest that the patent litigation is out of control. The implication is that there is an explosion in patent litigation. This is just not true. “The real facts of the so called litigation crisis are that for the past two decades the number of patent lawsuits commenced annually has been about 1.5 percent of all patents granted. In 2006, it was 1.47 percent. This is business as usual. Most patent lawsuits, moreover, settle before trial. In 1979, some 79 percent of patent cases settled before trial, while in 2004 almost 86 percent did. Matters are actually improving. Even though this data is a little old nothing has changed in the last several years. In a $14.4 trillion economy built on technology this is anything but a litigation crisis. There is also a myth that there is a patent quality issue in the US. This is not supported by the facts. “As to the massive numbers of “unworthy patents” argument, the real-world test is how many patents are challenged and the outcome of those challenges. 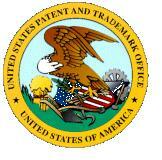 Between 1981 and 2006 the USPTO issued more than 3.1 million patents. In that period, 8,600 were challenged at the Patent Office through inter partes and ex parte reexaminations. The number challenged amounts to less than three-tenths of one percent. Of those challenged, about 74 percent resulted in claims narrowed or cancelled. In addition, almost 60 percent of the relatively few patents challenged in a court trial are sustained. By every objective measure: R&D per patent, GDP per patent, and number of citations per patent patent quality is increasing. See https://hallingblog.com/2010/01/07/patent-quality-nonsense/ and https://hallingblog.com/2009/08/18/patent-quality-myth/. Cost and Time to Obtain a Patent: When Edison applied for his light bulb, he received a patent in 3 months. The reason it takes so long to obtain a patent today is because Congress has been stealing money from the Patent Office. I have an angel investor friend who was a highly successful entrepreneur who complained that when he invested in a company he did not know about hidden prior art and this created a large amount of uncertainty. He supported the idea of publication of patents. However, the answer was not publication of patents, which breaks the social contract, but fully funding the patent office – as the Edison example above proves. Disingenuousness of Libertarian Argument about Costs of Patents: All property rights systems have some costs involved in them. GE employs 600 attorneys to comply with tax laws, it probably employs another 600 to comply with SOX, discrimination laws, environmental laws, health and benefit laws. However, it probably employs less 100 patent attorneys. Their patent costs are a drop in the bucket compared to dealing with tax and other regulatory laws. The Libertarian attack on patents in light of all the other burdens imposed on business is disingenuous. Patent Litigation: While patent litigation costs are similar to litigation costs generally, there are a number of things that can be done to make the system more efficient. Some are changes to government and some are private sector initiatives. Secondary Market/Title Insurance for patents. Before the advent of title insurance it was very expensive to buy a piece of land. You had to pay an attorney for a title report that did not come with any insurance. Lawsuits over the boundaries of real property were epidemic before the advent of modern survey tools. Patents are in the same position where no title insurance has been created. Unfortunately, antitrust law undermined the first efforts to create a title insurance/secondary market for patents. Patent pools were a way to determine the validity of patents, enforce patents, and widely license the patents in a cost efficient manner. But the antitrust idiots said that they were illegal. Today, Luddites are using the rallying cry of “patent troll” to kill off the beginning of a secondary market – see https://hallingblog.com/2009/09/18/in-defense-of-patent-trolls/ For more information see Jump Starting a Secondary Market for Patents https://hallingblog.com/2009/11/16/jump-starting-a-secondary-market-for-patents/. Accelerated Patent Court: A new court similar to the ITC that has expertise in patents and accelerates the patent litigation process is needed. The court should be sufficiently funded and have procedures that allow patent cases to be resolved in under a year. Perhaps the court would be limited to issuing injunctions as a remedy as opposed to economic damages. The goal of this new court is to establish the US as the premier arbiter of patent rights. The US is the best positioned country to protect patent rights, despite our recent history. This would increase the US’s standing as a technological leader in the world and draw innovative companies and people to the US. Patent Reciprocity: One of the largest costs of obtaining patent protection is foreign filing. Patent reciprocity would significantly reduce this cost. If you drive your car across the border into Canada you do not lose title to your car. If you take your manuscript across the border into Canada you do not lose the copyright to your manuscript. But, if you take your invention across the border into Canada, you lose your patent protection and anyone can steal the invention – not the physical embodiment, but the underlying invention. Patent reciprocity would automatically provide patent rights in a foreign country when you obtained a patent in the US and vice versa. This idea was first proposed by the US in the mid 1800s according to B. Zorina Kahn’s book “The Democratization of Invention: Patents and Copyrights in American Economic Development, 1790-1920“. Unfortunately, the idea died and since then patent rights have been part of the convoluted process of trade negotiations. Patent reciprocity would significantly increase the value of patents and increase the value of research and development. As a result, it would spur investment in innovation. Reciprocity would increase the valuation of technology start-up companies in all countries that participated. It would also increase per capita income. Eliminate Maintenance Fees: Maintenance fees are the major cost associated with a patents filed outside the US. Maintenance fees are a backhanded way of introducing a “working requirement” to patents. Working requirements for patents have always been rejected in the US. These fees favor large entities and reduce the effective life of patents. A strong patent system pays for itself several times over in increased tax revenues from increased economic activity. The supply side returns from a strong patent system probably exceed the return resulting from lowering the capital gains tax. Reduce Formalism in Patents: A large part of the cost of obtaining and litigating a patent is overly formalistic requirements. The Non-obviousness requirement should be repealed. It is not logically a part of the definition of an invention and is the source of uncertainty, and increases the cost of both obtaining and enforcing/defending patent lawsuits. For more information see Non-Obviousness a Case of Judicial Activism https://hallingblog.com/2010/06/18/non-obviousness-a-case-study-in-judicial-activism/. Some of the other overly formalistic requirements include the rules on restrictions, the inequitable defense, and the silly requirements related to section 101. Restrictions are required for trivial differences that are embodiments of the same inventive idea. The doctrine of equivalents has been dead for over a decade. Formalism over logic rules in the realm of inequitable conduct. USC 101 issues related to software inventions also place form over function that require absurd recitations to computer hardware. All of these formalistic requirements favor patent thieves at the expense of real innovators.